For the second time since beginning operations with Combined Maritime Forces (CMF), the French Ship Guépratte provided assistance to a fishing dhow in distress. As part of her regular tasking, FS Guépratte was conducting maritime security and counter-terrorism patrols under command of the Canadian-led Combined Task Force 150 (CTF-150) in the Western Indian Ocean when she came across a group of fishermen who had run out of food and water more than 900 kilometres away from the nearest land. By nightfall, Guépratte’s commanding officer had despatched a team to assess the situation. Despite the dark night, the French boarding team provided water and food to the fishermen and provided a working compass so they could find their way home. Thanks to the professional and calm reaction from Guépratte’s team, the fishermen and dhow were in a much better condition to continue their journey home. 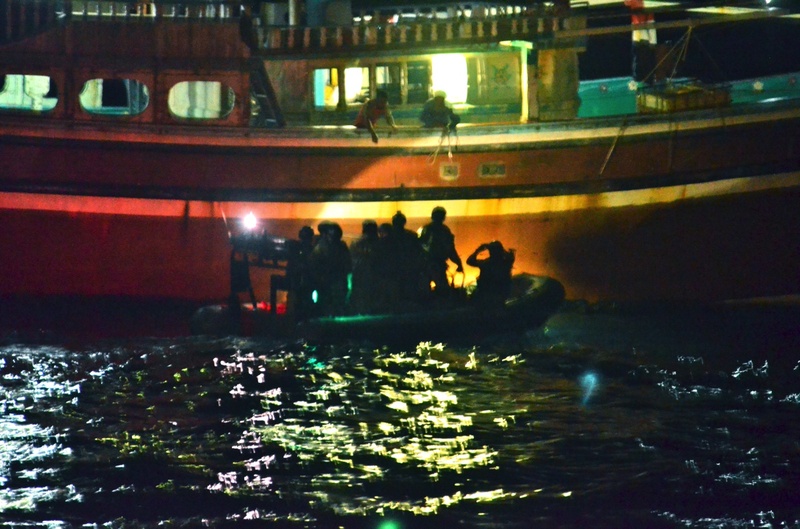 CTF-150 ships and aircraft conduct counter-terrorism and maritime security operations in order to deter and deny terrorist organisations from using the seas to smuggle narcotics, weapons, and other illicit cargo while ensuring safe passage for merchant vessels in some of the busiest waterways in the world. 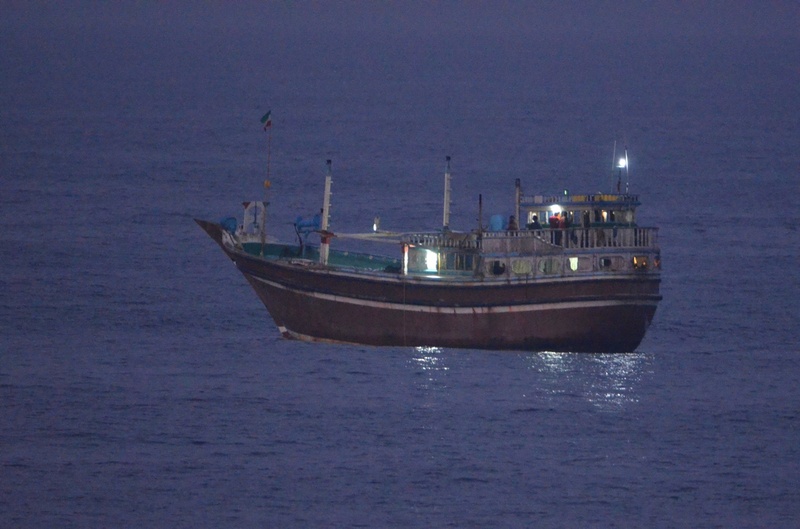 CTF-150 vessels also assist mariners in distress and provide humanitarian assistance as required.